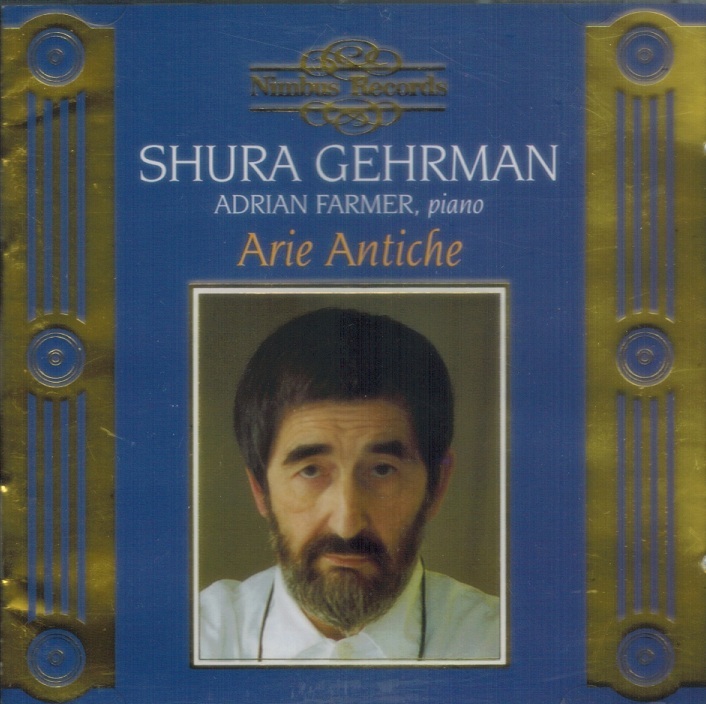 “Bass singer Shura Gehrman was really Count Alexander Numa Labinsky, one of the primary founders of NIMBUS RECORDS in England. Labinsky/Gehrman was responsible for many of the actually excellent-sounding ‘Ambisonic’ historical vocal records that were ‘re-recorded’ on HUGE horns in the Weyastone Studios of Nimbus. Some like the discs, others detest them. I have a huge number of them and, largely, like them, especially when used on the radio. 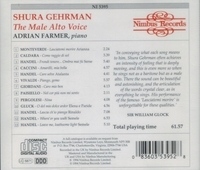 Gerhman died in 1994 and was known to be a serious scholar of voices and vocal technique. 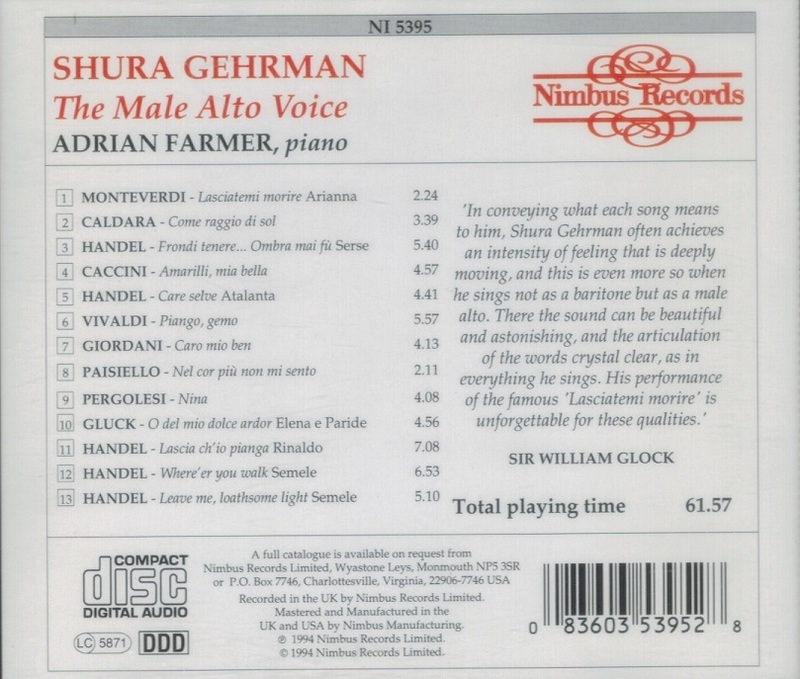 And so, Mr. Labinsky/Gehrman recorded antique songs and arias, lots of lieder (mostly Schubert) some French material, etc.